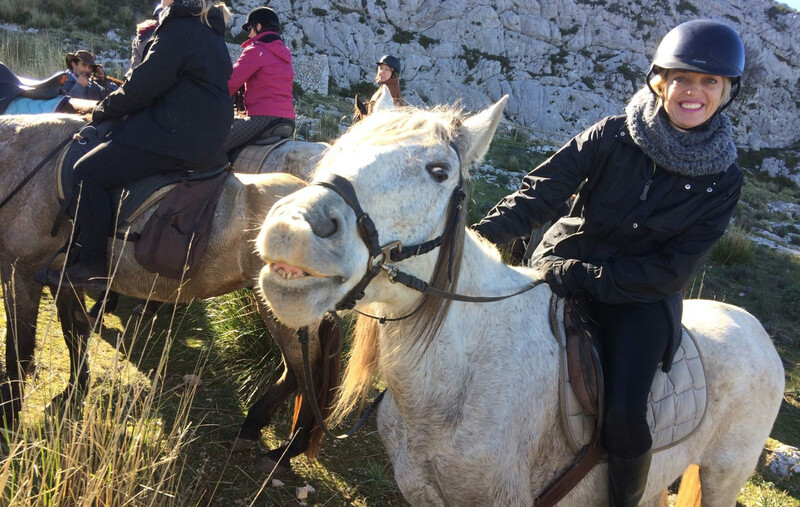 Have fun, meet new people and improve your riding and horse management skills! 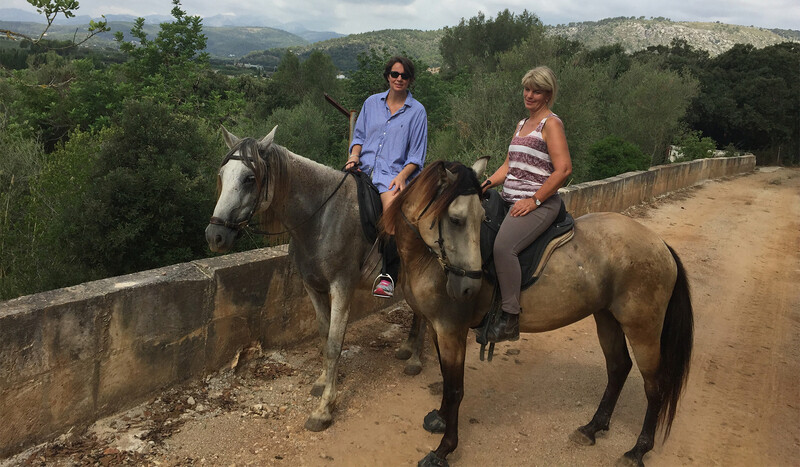 Enjoy learning about natural horse care and Mallorcan traditions and culture from Lorenzo and ride out in the beautiful Mallorcan landscape! 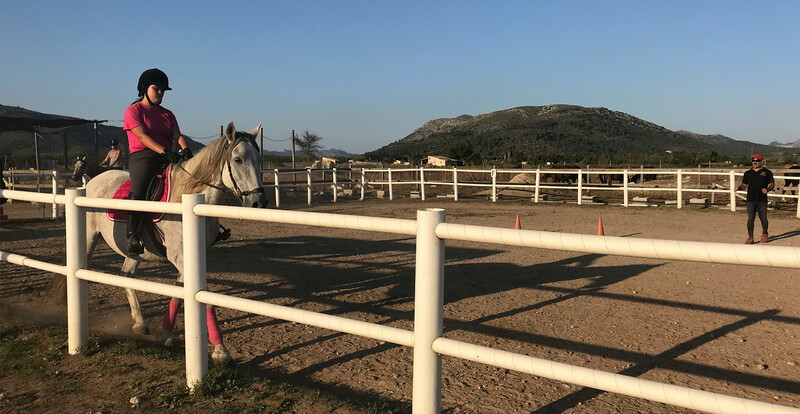 You will stay in a friendly home in Pollenca, in one of a range of comfortable hotels or in finca next to the stables! We welcome people travelling alone or in groups. We pick up from the airport and provide accommodation either half board (with tea, coffee, table wine, beer, soft drinks and water – cocktails and spirits available to purchase) or bed and breakfast. 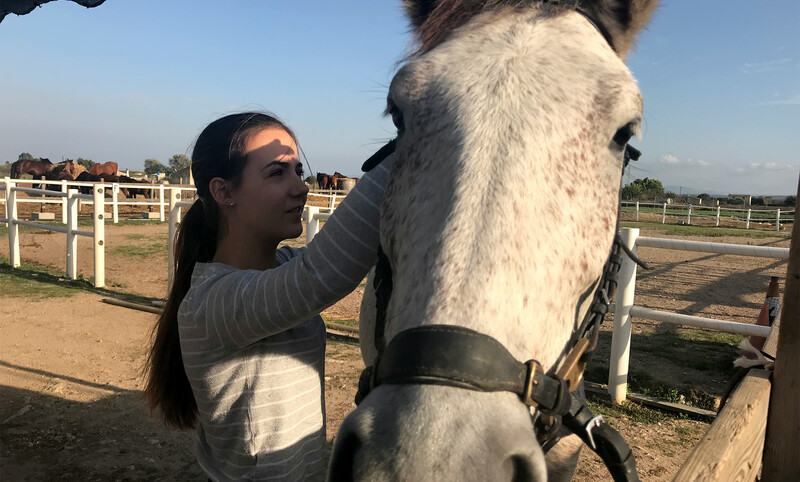 There is between 2 to 4 hours on horseback each day with a rest day if desired. Riding times vary according to the time of year. Let us know your requirements and we’ll tailor a package to suit you. Flights are excluded. Holidays can be booked from 3 to 7 days. Prices start @£435 and can also be booked through our partners Equestrian Escapes.